Evening primrose seed CO2 total from China. Also known as fever plant, German rampion, hog weed, King's cure-all, or weedy evening primrose. 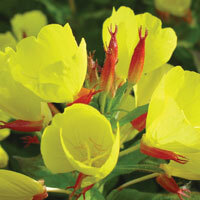 Species: Oenothera biennis. Family: Onagraceae. Class: Fatty Acid Triglyceride. Article: Evening Primrose Oil Benefits.